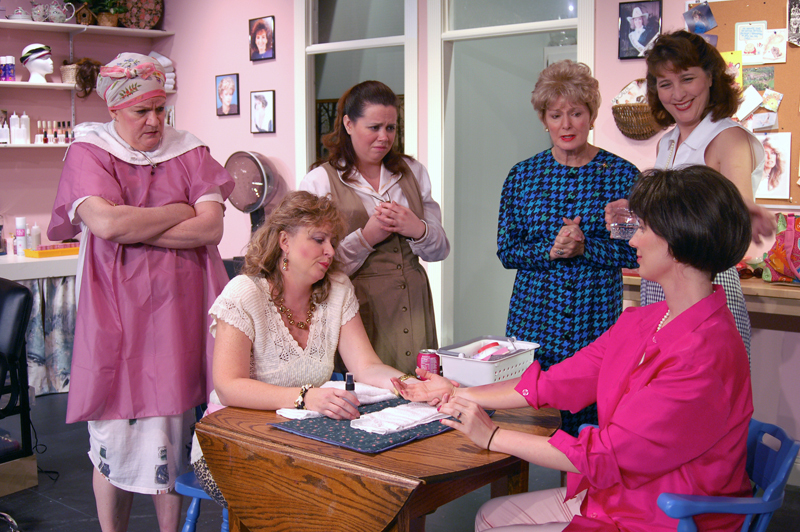 Rumor has it: Rumors Director Liz Mykietyn, and Rumors cast member Beth Hughes-Brown (Cookie Cusack) shared the stage, once again, in PPF’s 2008 production of Steel Magnolias, directed by Tina Hodge Thronson. Steel Magnolias, our 14th production at the James Lee Community Center Theater, was one of the best attended shows in PPF history. Rumor has it, Rumors might share that distinction with “Steel”.